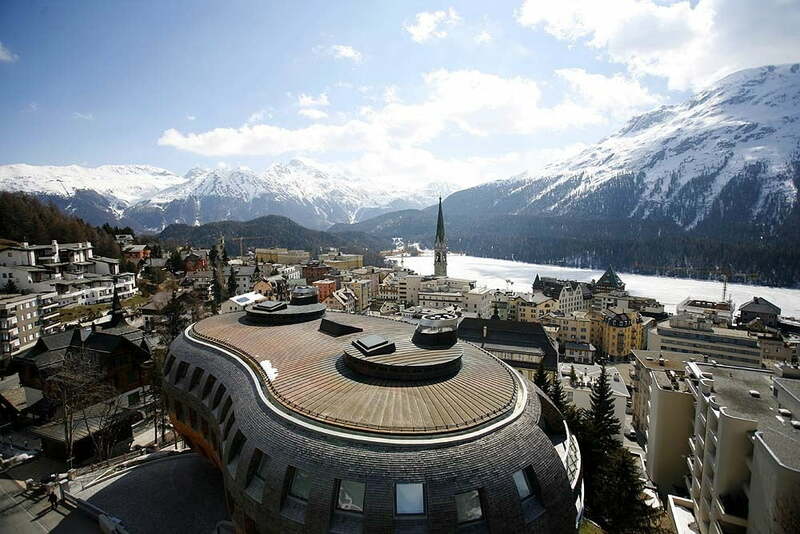 St. Moritz’s distinctive skyline is home to a surprising number of architectural gems. Mighty stone walls, floor-to-ceiling windows and whimsical ornaments. For centuries, traditional Engadin-style houses have been the defining features in villages such as Zuoz, Samedan and La Punt. These houses are synonymous with time-honoured building techniques and decorative traditions. Despite their proximity, these villages are a world away from St. Moritz, which has become a melting pot of different architectural styles and a symbol of Alpine industrialisation. The town’s heterogeneous architecture has nothing in common with the rustic charm of the neighbouring villages and routinely sparks heated discussions. 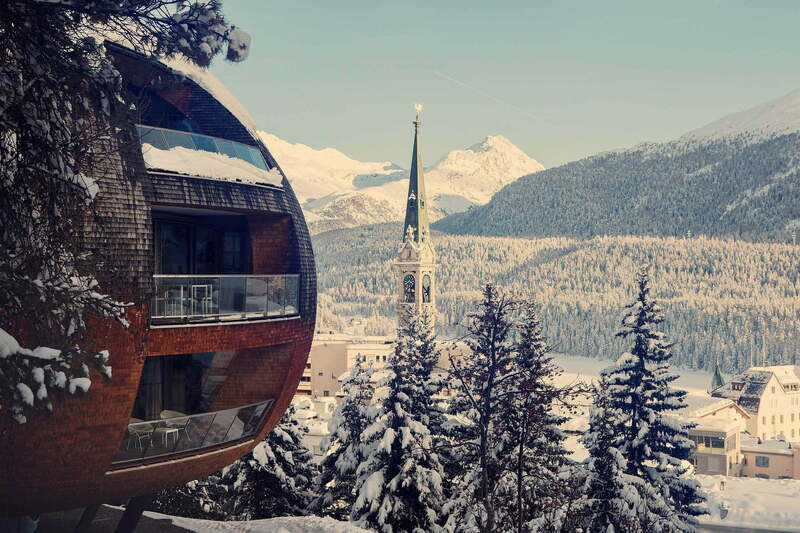 Yet St. Moritz’s blend of nostalgia and zeitgeist is palpable in every lane and on every street corner – this 30-square-kilometre town has accumulated a remarkable number of architectural gems over the years. Take, for example, the stately Badrutt’s Palace Hotel with its distinctive tower, one of the key hallmarks of the St. Moritz skyline; or Suvretta House, which is reminiscent of a fairytale castle and is located in sweeping parklands slightly east of the town centre. 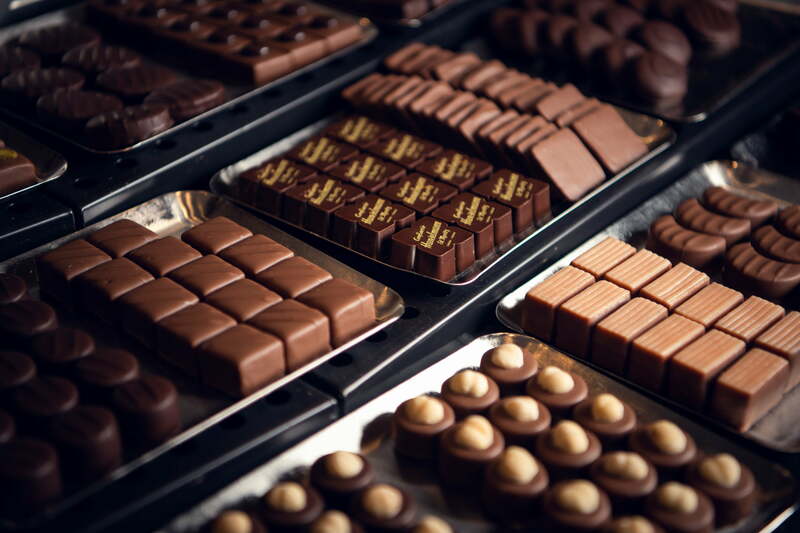 The Grand Hotel des Bains Kempinski is yet another example and has played host to princes, politicians and artists since the Belle Époque era. Numerous modern structures create a striking contrast to these traditional guesthouses, such as British architect Lord Norman Foster’s masterpiece Chesa Futura, which was completed in 2004. The Chesa Futura, or “house of the future”, unites cutting-edge architecture with centuries-old building techniques that involved nailing around 250,000 larch shingles onto its bubble-like form. When you stroll around Lake St. Moritz, you’ll also see the Oscar Niemeyer house – the only building in Switzerland designed by the famous Brazilian architect. Not far from there, Parkhaus Serletta’s viewing platform juts out over the lake, adding yet another sophisticated architectural highlight to the surrounding landscape. 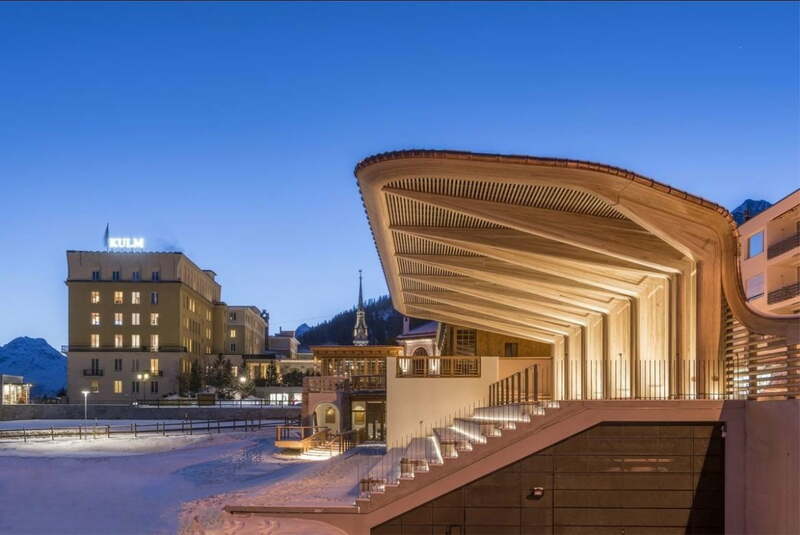 Just one kilometre from the lake you’ll find the famous Kulm Hotel and the leaning tower, the town’s 12th century landmark. The tower is the former steeple of St. Mauritius Church which was demolished in 1890, and leans at a 5.5-degree angle that has to been seen to be believed.